6” 8” & 10” round tiers. 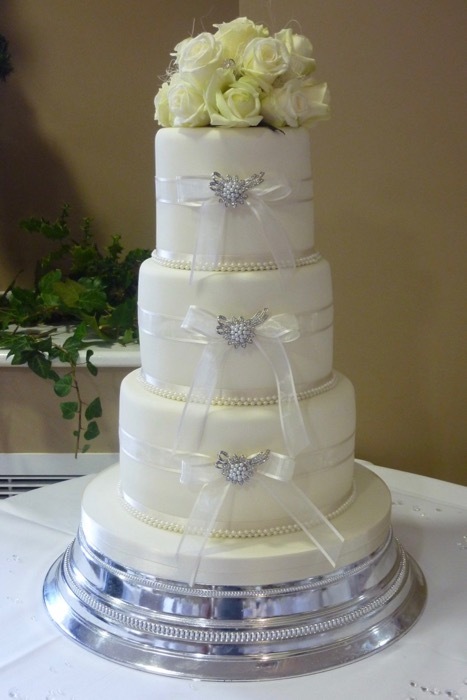 Tiers wrapped with ribbon and brooches. Fresh flowers topper.